When it comes to image quality, the Fujifilm XF 50mm f/2 R WR lens is capable of delivering some beautiful images when paired with something like the Fuji X-Pro2. Sharpness is great throughout the aperture range, and you’re likely to be pleased with what it can deliver. Bokeh is pleasingly rendered at the widest apertures, and while it can’t quite match the shallow depth of field produced by the 56mm f/1.2 lens, for most situations, f/2 is going to suit you well enough. One of the best things about this lens is just how small and light it is. That makes it a great pairing with the X-Pro2, and helps you to go unnoticed if you’re using it for something like street photography. You can also slip it neatly into your kit bag as an extra lens, adding only the tiniest bit of weight to your overall package. The 35mm equivalent focal length of this lens is 76mm - that means it falls somewhere between the classic lengths of 50mm and 85mm. While it may be a little unusual for a focal length, it has a number of applications that it’s well suited for, including portraits and still life. You could conceivably use it as a walk around lens, but it’s a little long - you may find the 23mm or 35mm lens are better suited for that kind of work. Construction of the Fujifilm XF 50mm f/2 R WR lens is great, with an all metal design complementing the design of Fuji’x X series cameras well. The plastic lens hood is a little disappointing, but it’s not out of place with the rest of the design. As for drawbacks, the biggest here is the fact that the lens offers no optical image stabilisation. Considering that neither the X Pro 2 or the X-T2 bodies have it built in, that can potentially lead to problems. You may find therefore in darker conditions, you’re going to have to use higher ISO speeds to get sharp shots. 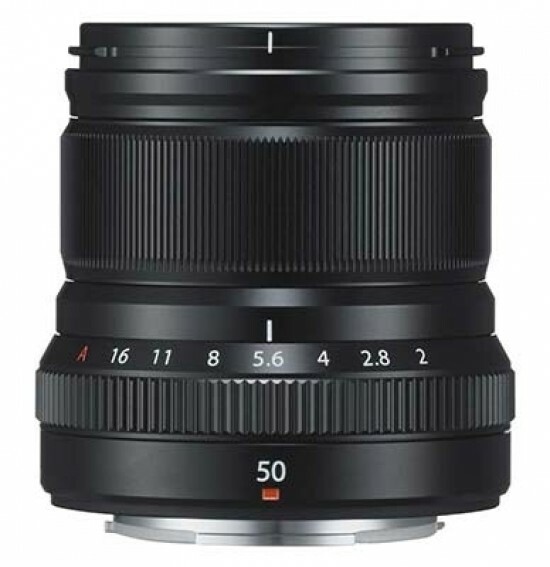 In terms of pricing, for a Fujifilm lens, the Fujifilm XF 50mm f/2 R WR lens is not too badly priced. At the time of writing, it retails for around £449. While that puts it quite far above the price of some “nifty fifties” available for other manufacturers, it’s also quite a way below the price Fujifilm asks for its 56mm f/1.2 prime lens. Overall, the Fujifilm XF 50mm f/2 R WR is a well performing lens that is a great addition to any Fuji kit bag. You get a small, compact design which delivers pleasingly sharp images, with attractive bokeh.